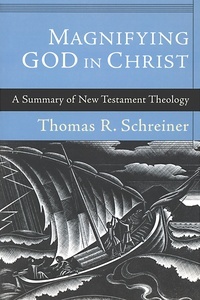 Thomas Schreiner’s substantial New Testament Theology examined the unifying themes that emerge from a detailed reading of the New Testament canon. Magnifying God in Christ provides a student-level digest of Schreiner’s massive work, exploring the key themes and teachings of the New Testament in a more accessible and concise way. In addition to summarizing the findings of Schreiner’s larger work, this survey provides answers to the “so what?” question of New Testament theology. Comprehensive and up to date, the book is arranged thematically and includes careful exegesis of key passages. It argues for a New Testament theology that is God-focused, Christ-centered, and Spirit-saturated and offers students of the Bible a big-picture view of what the New Testament is all about.